NEW YORK - For the last few years there have been no music-related awards or rich lists that did not include Barbados’ superstar Rihanna, and the latest Billboard Top Money Makers list is no exception. The Wild Thoughts singer landed 12th place on the list, which covered earnings in 2016 and put her way ahead of such class acts as Sir Paul McCartney, Jennifer Lopez, Elton John, Celine Dion, The Weeknd, Sia, and Selena Gomez. 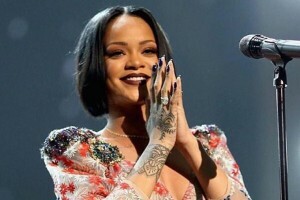 According to Billboard, Rihanna put in plenty of work on the road in 2016, but her streaming success was huge, too: She came in third in on-demand audio (2 billion) and first in on-demand video (1.3 billion), and earned $10.1 million in master recording royalties, ranking fourth. The Bajan songstress came in just behind perennially popular piano man Billy Joel in 11th spot, and edged out 13th-placed Stressed Out hitmakers Twenty One Pilots. The Work girl – and everyone else – nevertheless fell way behind top-placed Beyonce, who effortlessly slayed the competition as 2016’s biggest Money Maker with a mammoth US$62.1 million — $20 million more than the No. 2 act Guns N’ Roses. The bulk of Queen Bey’s wealth stemmed from her Formation World Tour, in support of her sixth album, Lemonade, an all-stadium trek that boasted DJ Khaled and Rae Sremmurd as opening acts, not to mention Kendrick Lamar and husband JAY-Z as surprise guests at the MetLife Stadium finale. In third place, Bruce Springsteen had 2016’s second-highest-grossing tour, yielding over $40 million for himself, while Rihanna’s former beau Drake dominated last year’s charts and led all acts in on-demand audio and video streams (6.8 billion), plus royalties with $23.7 million. Adding nearly $14 million for his summer tour with Future, Drake danced away with over $37 million. Coldplay ranked No. 5 at the box office and raked in $26 million on the road in 2016, selling 323,000 copies of its Head Full of Dreams album in the United States in the process. Seventh-placed Justin Bieber’s streaming power racked up nearly as many on-demand video streams (1.2 billion) as audio streams (1.5 billion). He was also No. 3 on radio. Country star Luke Bryan followed, with take-home pay of $23 million and $4.1 million in artist and songwriter royalties. In ninth place, Kanye West ranked as the second-highest-grossing rapper behind Drake, thanks in part to his $15 million take from the blockbuster Saint Pablo Tour ($45 million). Kenny Chesney placed 10th with a haul that included $23.5 million in take-home pay from $69 million in ticket sales, making him the seventh-largest touring act in the United States in 2016. Carrie Underwood placed 14th with a $52.3 million-grossing tour, while Metallica rounded out the top 15 with its Hardwired… to Self-Destruct (the band’s sixth No. 1 on the Billboard 200) helping to yield 2.7 million album and track sales, making the group, which owns its own masters, No. 1 in total royalties.